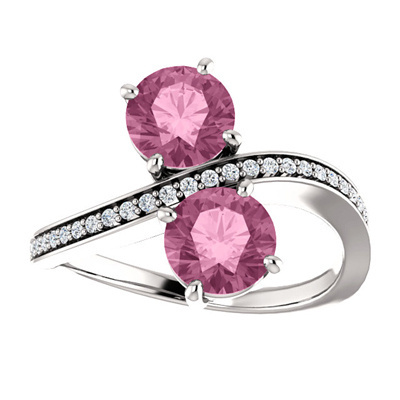 An "Only Us" exclusive of pink topaz and diamond ring elegantly set in 14 carat white gold. This ring will go with any outfit and makes a perfect gift. Measures 6mm with a total carat weight of 0.13,this two stone ring is a piece of fine jewelry. We guarantee our "Only Us" Pink Topaz and Diamond Two Stone Ring in 14K White Gold to be high quality, authentic jewelry, as described above.